Nature underpins all our lives in diverse ways and at a range of scales, from local communities through to the global population. However, worldwide, natural resources are being lost due to unsustainable use and human-induced environmental change—to such a degree that future generations are likely to suffer the repercussions of our excess consumption. Why do we continue to destroy natural habitats, undermining the very basis of our existence in pursuit of short-term gain? The problem lies in us not considering these vital services, many of which are provided for free, when land use decisions are made. While provisioning services, like the supply of food and water, have an obvious economic value, the vital regulating, supporting and cultural services provided by ecosystems, such as crop pollination, climate change mitigation, nutrient recycling and recreation, are often overlooked. By understanding, measuring and monitoring ecosystem services, we can demonstrate how the conservation of biodiversity and delivery of ecosystem services are interlinked and how, as a society, we can improve the sustainability of our actions to reduce biodiversity loss and prevent ecosystem damage. Ecosystem services are the benefits we receive from nature, such as provision of crops or medicinal plants, the control of pests ( ), the regulation of climate, the reduction of flood risk ( ), and opportunities for cultural, spiritual and recreational experiences. Some ecosystem services result in ‘goods’ (see Figure), such as crops, which are market-based and so are easy to measure and value. However, others are non-market based, such as benefits to physical and mental health ( ), and therefore often go unrecognised, being overlooked and undervalued in decision-making ( ). Conceptual framework of ecosystem services. For example, primary production of the cereal grain rice delivers an ecosystem service in the form of a crop but, before it can be consumed, other human inputs (cultivation, harvesting, threshing, transport) are also required, resulting in the production of a ‘good’ (in this case food). SOURCE: Adapted from Mace et al. (2012) Biodiversity and ecosystem services: a multilayered relationship. Trends in Ecology and Evolution 27(1): 19-26. Ecosystem services and biodiversity are closely linked: wild species are integral to ecosystem functions and processes, such as the disposal of waste ( ), and are the source of food ( ) and natural medicines. At a more fundamental level, we value wild species simply by knowing that they exist. In recent history there has been a substantial decline in biodiversity as a result of human activities, and species are becoming extinct much faster than at any time in the past ( ). Habitat degradation and destruction is one of the major drivers of biodiversity loss. For example, Indonesia has lost 40% of its forest cover since 2000 because of demands for wood products and land for planting of new crops such as biofuels ( , ). As we destroy natural habitats and their component wild species, so too are we destroying vital ecosystem services on which we all depend ( ). In 2005, the Millennium Ecosystem Assessment reported that more than 60% of ecosystem services were in decline. In 2010, The Economics of Ecosystems and Biodiversity study showed that there are significant economic and social costs to losing biodiversity and that it is in our interest to conserve and restore our natural world. These international studies have helped to raise the profile of ecosystem services internationally and there is now much more awareness about the contribution that ecosystems play towards our well-being ( , , , ). For BirdLife International, ecosystem services are implicitly at the heart of our vision of working, through birds, to conserve biodiversity and to improve the quality of people's lives. BirdLife Partners identify Important Bird Areas (IBAs) as sites that are critically important for the conservation of birds, but these sites are also typically important for the provision of ecosystem services. BirdLife Partners around the world have been working to demonstrate how conserving sites, their habitats and species, provide benefits that are directly relevant to people. For example, in 2007, NatureUganda (BirdLife in Uganda) conducted an economic valuation of the proposed degazettement of Mabira Forest Reserve as part of a successful campaign against a proposal to convert part of this IBA into sugarcane ( ). Similar campaigns have been lodged by other BirdLife Partners in Africa ( ), and the Caribbean ( ). Recently, BirdLife has helped to pioneer a standardised approach to assess and monitor ecosystem services at sites, through the implementation of a simple ‘toolkit’ of methods that is accessible and low cost, yet delivers scientifically robust results ( ). 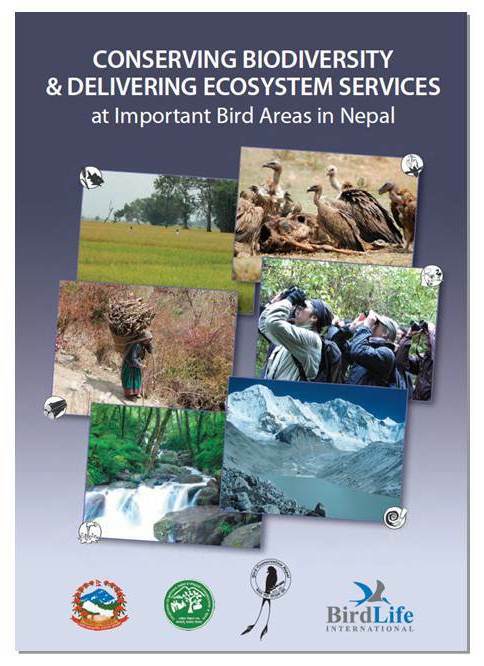 This approach has been piloted by BirdLife Partners at a number of sites around the world including four Important Bird Areas in Nepal ( ). These assessments demonstrate significant co-benefits between many ecosystem services, and give new understanding of how benefits and costs are distributed, with implications for improving management, equity and sustainability. The results can be used to improve decision-making and to argue for fairer, more sustainable decisions and policies that impact on land use decisions at both the site and landscape scale. Through the Important Bird Areas (IBA) programme, BirdLife Partners will use this methodology to assess and monitor the ecosystem services delivered by IBAs, in order to assess where sites have particular value in providing benefits to people and where there are threats both to the conservation of biodiversity and the provision of important services for people that need to be addressed. This is especially important in rural, less developed areas where dependence on natural resources provides livelihoods for many poor people. An essential element of BirdLife’s approach is working with grassroots organisations to encourage more sustainable natural resource management ( ) and developing livelihood alternatives. BirdLife's Local Empowerment Programme demonstrates how empowering local communities by giving them ownership, skills, information and incentives to better use and conserve natural resources can result in better conservation outcomes ( ), harness and sustain conservation capacity ( ) and improve livelihoods ( , ). The ecosystem services toolkit has a strong emphasis on participation of stakeholders at all levels—from local communities through to national government. Its goal is to engage people at all levels in monitoring and protecting their natural environment for the benefit of human well-being. The BirdLife ‘Forests of Hope’ programme conserves and restores highly threatened natural forests through innovative management, financing and governance systems ( ). These forests support local livelihoods through a wide range of goods and benefits, and at the global scale help to stabilise the climate. Monitoring of birds and ecosystem services, for example, carbon sequestration and greenhouse gas emissions, at these sites will further strengthen the case for their conservation, including through new mechanisms such as Reducing Emissions from Deforestation and Degradation (REDD+). Integrating the value of nature into national and international policies can provide the framework so that these values are both captured and mainstreamed. 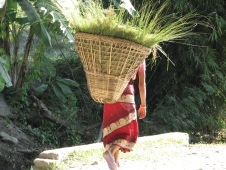 The Convention on Biological Diversity (CBD) Aichi Target 14 requires signatory parties to restore and safeguard ecosystem services, taking into account the needs of women, indigenous and local communities, and the poor and vulnerable. Regional and national targets for 2020 are also being developed along these lines. Biodiversity and ecosystem services are also critical to the Millennium Development Goals particularly Goal 7 - Environmental Sustainability. There is also awareness that there is a need for better integration of science into the policy debate. The establishment of IPBES (Intergovernmental Platform on Biodiversity and Ecosystem Services)—a mechanism to addresses the gaps in the science policy interface on biodiversity and ecosystem services—aims to build capacity for and strengthen the use of science in policy making. A key challenge for nature conservation in the years ahead is to secure the investment needed to conserve ecosystems and their services. A significant increase in the amount of funding that goes towards conservation is required if we are to be successful in our endeavors ( ). Already innovative ways of financing have been developed, through various mechanisms including ‘payment for ecosystem service’ schemes ( , ). 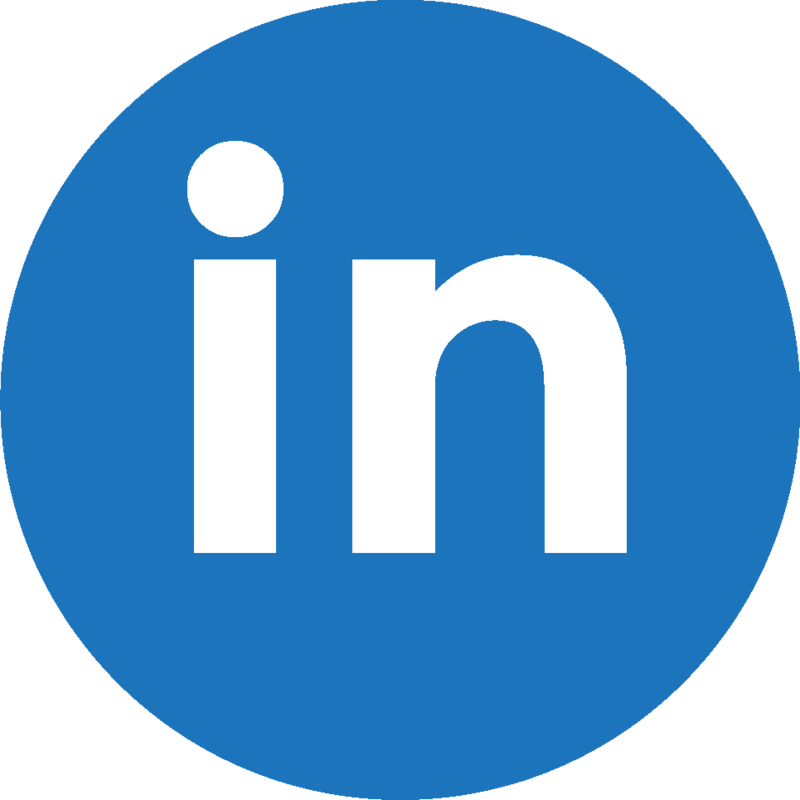 Businesses are also becoming increasingly aware of the need to conserve the natural world, as they both depend on and impact upon our ecosystems and their services. Biodiversity offsets are being implemented in a number of places, often with businesses working in collaboration with conservation organisations ( , , ). Hence, understanding and accounting for the benefits that we derive from nature can help reduce the pressures on natural habitats, enhance biodiversity and deliver long-term sustainable benefits to people. The ecosystem services approach provides us with an important new dimension with which to save our natural world. BirdLife’s scientific work on ecosystem services focuses on demonstrating nature’s values for people. Working alongside a range of collaborating organisations, BirdLife is developing and testing a toolkit of simple methods for evaluating ecosystem services at individual sites. The data generated by its application are already helping to inform local to national policy to support better biodiversity conservation, sustainable use of natural resources and improvements in livelihoods. Ecosystem services underpin our very existence. Despite this, they are consistently undervalued in economic analyses and decision-making. 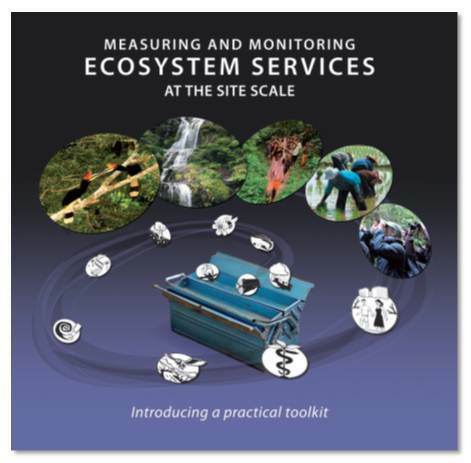 This booklet introduces a new 'toolkit' for measuring ecosystem services at the site scale which is accessible to non-experts and delivers scientifically robust results. This report presents the results of a study which has helped to test a new practical ‘toolkit’ for assessing ecosystem services at the sitescale. The methods used are accessible to non-experts and deliver scientifically robust results. To access more case studies on ecosystem services, please click on the following links.